People who play the lottery lose in more ways than they realize | Do These Look Even? ← Financial advisors, huh, yeah, what are they good for? It’s Victoria Day long weekend, the unofficial start of summer. Canadians are kicking back, relaxing with a drink or three, and putting aside any thought of the daily grind, responsibilities, deadlines, and other such unpleasantness. If only every day could be like this. If only we had enough money to dump our jobs and live the good life. Wouldn’t it be great to win the lottery? Just imagine the freedom! You’re going to think I’m a few drinks ahead of you today, because I’m about to say something crazy. you WILL NOT find the financial freedom you’re looking for. You already know that the odds of winning the lottery are astronomically small. But that’s not what I mean. Even winning the lottery will not buy you financial freedom. Winning the Lottery – A Mixed Blessing? From my work with clients, I know that for upper-middle and high income earners, a lack of money coming in is not the reason for their financial woes. It’s the amount going out. Spending is the problem, and behind the spending problem are attitudes and behaviours that lead to overspending regardless of income level. Usually there is a lack of clarity around why money is spent and how much is spent. 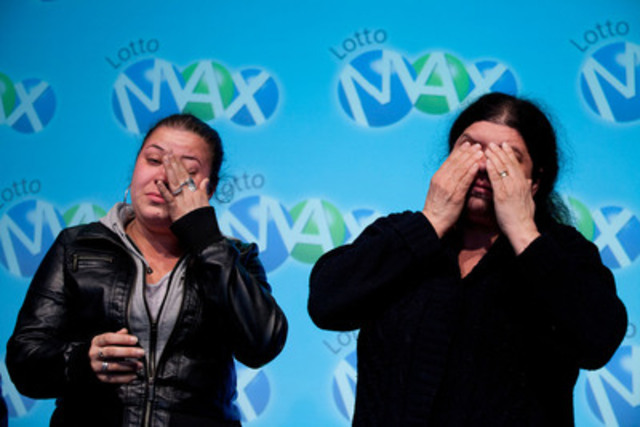 Lottery winners often face the same challenges, but magnified many times over. You’ve probably heard that lottery winners haven’t necessarily enjoyed an enviable life, and some actually wish they had never won. Still, I’m sure that’s a problem most of us would like to have. We believe we would do better if faced with the same circumstances. They hope against massively unfavourable odds that something outside their control will financially “rescue” them, possibly because they don’t believe they can ever improve their situation on their own. Statistically speaking, those from lower income groups spend a disproportionate percentage of their income on lotteries, raffles, draws, etc. Not only do they spend a larger percentage of income, but actual dollars spent are also higher. They likely have a general dissatisfaction with their lives, but probably don’t quite know why. Unfortunately for those who spend their money without a clear purpose and long-term plan, it’s all too easy to succumb to a litany of distractions: meaningless shopping trips, exotic vacations (where the Instagram pics are more important than the actual experience? ), knick-knacks and doo-dads, fancy homes with granite quartz countertops, luxury cars, etc. There is an endless supply of distractions in our modern world, and a large population that is stressed, tired, and frustrated, yet hungry for a chance at the “good life”, but with little idea of what the “good life” actually means for them. The problem with playing the lottery consistently is that it subtly reinforces this notion of disempowerment, distracts people from taking concrete action to improve the situation, and frames their unhappiness as a lack of money rather than a lack of focus and purpose when spending the money they do have. Furthermore, it encourages people to aspire to a life of increased consumerism, which paradoxically leads to less freedom. So even if one wins the lottery, with the “lottery mindset” firmly in place there’s a decent chance that the money will be gone in no time flat. The faint hope of winning the lottery keeps us dreaming, keeps us hoping, keeps us wishing. But it doesn’t get us doing, learning, or changing. Without that growth and change, we’re stuck in the rat race with no clear way forward. Real freedom is finding purpose, meaning, and direction in our own lives, and then developing and nurturing that for the rest of our lives. Happy retirees know one can’t just retire from something, one has to retire to something. So stop imagining the freedom. Think about what is important to you at your core, set goals that are consistent with those values, and make a plan to achieve them. Then work at them, passionately and consistently, for the rest of your life. That’s real freedom. That’s worth imagining. And worth making real. This entry was posted in A Different Take and tagged expenses, freedom, goals, income, lottery. Bookmark the permalink. Well said. I’ve known people with six-figure incomes who can’t make ends meet, and others who get by happily on less than $20,000. It’s got more to do with personality, goals and habits than income. Thanks Michael. Absolutely, personality, goals and habits matter more than income when it comes to balancing the books. Those who unexpectedly come into large sums of money – whether by lottery win, inheritance, or some other stroke of serendipity – can find themselves ill-equipped to handle both the temptations and stresses that come with it.